An understanding of geomorphology begins with hydrology. In very dry or very cold environments other factors are also required, but here the focus is on the more-or-less humid environments where human population density is highest. 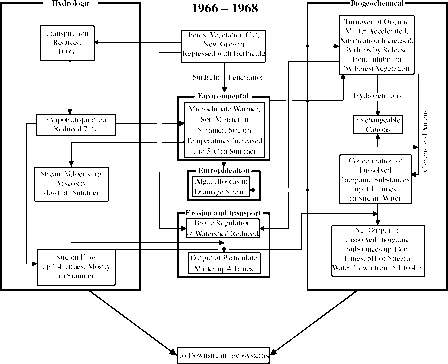 A minimodel of the hydrologic balance is shown in Figure 3.2. Precipitation is a source or input of water storage, while evapotranspiration, runoff, and infiltration are outputs. The energetics of this model are critical but straightforward. Movements of liquid water have kinetic energy in proportion to their velocity, and the storage of water has potential energy in proportion to the height above some base level. The energetics of hydrology drive geomorphic processes and create landforms. 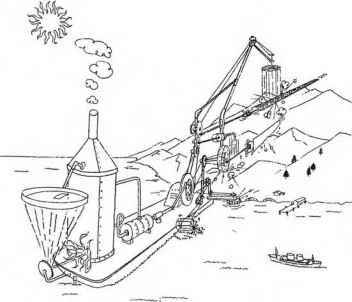 The operation of any machine might be explained as the transformation of potential energy into the kinetic form that accomplishes work in the process of changing that energy into heat. 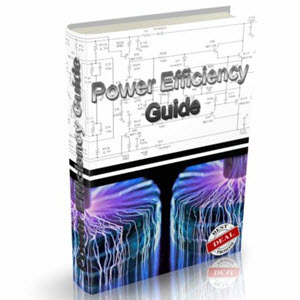 Locomotives, automobiles, electric motors, hydraulic pumps all fall within this categorization. So does a river. The river derives its potential energy from precipitation falling at high elevations that permits the water to run downhill. In that descent the potential energy of elevation is converted into the kinetic energy of flow motion, and the water erodes its banks or bed, transporting sediment and debris, while its kinetic energy dissipates into heat. This dissipation involves an increase in entropy. peak streamflows during storms. The summary diagram of the deforestation experiment illustrates an increased erosion rate (Figure 3.4) and thus the connection between the ecosystem and landform. Soil bioengineering systems are designed to restore at least some of this kind of control over hydrology and geomorphic processes. To further illustrate the geomorphic machine, the three main types of erosion in humid landscapes are described below with minimodels. Emphasis is on geomorphic work, so other aspects of hydrology are left off the diagrams. In each model, erosion is shown as a work gate or multiplier that interacts an energy source with a soil storage to produce sediments. Upland erosion is shown in Figure 3.5. Initially, precipitation interacts with soil in splash erosion. Vegetation cover absorbs the majority of the kinetic energy of rain drops, but when it is removed or reduced in agriculture, construction sites, or cleared forest land, this initial form of erosion can be significant. Sheet and rill erosion occur as the water from precipitation runs off the land. Various best management practices (BMPs) are employed to control runoff and the erosion it causes as will be discussed later. Channel erosion is shown in Figure 3.6. Stream flow, which is runoff that collects from the watershed, is the main energy source along with the sediments it carries. FIGURE 3.5 Energy circuit model of the types of upland erosion. 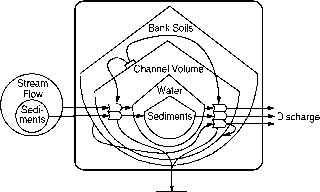 FIGURE 3.6 Energy circuit model of stream channel erosion. Thus, velocity is directly proportional to depth and gradient and inversely proportional to roughness. 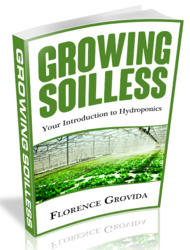 This relationship will be explored later in terms of design of soil bioengineering systems. The work of streams and rivers depends on velocity according to the Hjulstrom relationship, which is named for its author (Novak, 1973). 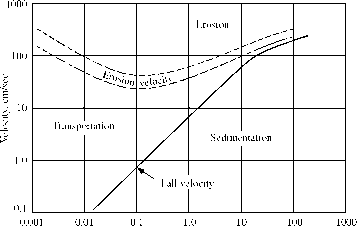 This is a graph relating velocity to the three kinds of work: erosion, transportation, and sedimentation, relative to the particle size of sediments (Figure 3.7). Sedimentation dominates when particle sizes are large and velocities are slower, transport dominates at intermediate velocities and for small particle sizes, while erosion dominates at the highest velocities for all particle sizes. Based on this relationship, particle sizes of a stream deposit are a reflection of the velocity (and therefore the energy) of the stream that deposited them. Fluvial or stream systems develop organized structures through geomorphic work including drainage networks of channels and landforms such as meanders, pools and riffle sequences, and floodplain features. Vegetation plays a role in fluvial geomorphology by stabilizing banks and increasing roughness of channels. FIGURE 3.8 Energy circuit model of coastal erosion. advances with the wave form; the kinetic energy is a summation of the motion of the particle in the wave train and advances with the group velocity (in shallow water this is equal to the wave velocity). where w is the weight of a cubic foot of water (64 lb). Geomorphic work in the coastal zone builds a variety of landforms including channels and inlets, beaches, dunes, barrier islands, and mudflats. Vegetation is an important controlling factor in relatively low energy environments but with increasing energy, vegetation becomes less important, and purely physical systems such as beaches are found. stimulate cross-disciplinary study, it is somewhat disappointing that geomorpholo-gists have written little about the symbiosis between landforms and ecosystems. Knowledge of both disciplines and how they interact is needed to engineer and to manage the altered watersheds of human-dominated landscapes. Workers in soil bioengineering are developing this knowledge and probably will be leaders in articulating biogeomorphology to specialists in both ecology and geomorphology.